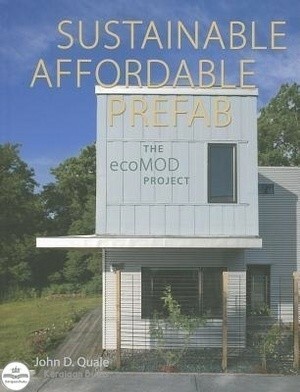 Sustainable Affordable Prefab combines architectural theory and practice in a beautifully illustrated account of ecoMOD, the innovative design/build program pioneered by John Quale. Unlike most manifestos of green design, Quale's book describes a collaborative process that has produced, to date, four elegantly designed, built examples of sustainable affordable housing.Implementing the principles that produced an award-winning Solar Decathlon project in 2002, Quale and his students at the University of Virginia, working with colleagues in the School of Engineering and Applied Science, and with affordable housing providers, have created four designs for environmentally sensitive affordable dwellings. The houses, built with modular units and/or panelized building components, include a two-unit condominium, a post-Katrina home on the Mississippi Gulf Coast, a historic renovation with an accessible addition, and a townhouse configuration that can be replicated and mass-produced for Habitat for Humanity. Each house pays attention to its site and incorporates sustainable materials and systems such as solar hot water and rainwater retention, and strives for zero energy load. The success of Quale's ecoMOD project offers multiple lessons for practicing architects interested in affordable, sustainable design and/or prefabrication, for architectural educators looking for new ways to engage students, and for anyone looking to build a sustainable home.